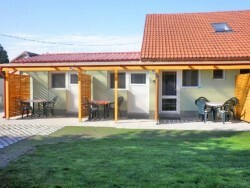 Dunajska Streda offers a wide variety of accommodation possibilities. Also the demanding guests will be satisfied with the quality and equipment of the accommodation facilities. 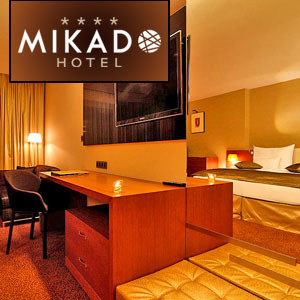 In hotels of higher category, you will be provided comfortable accommodation and professional services. 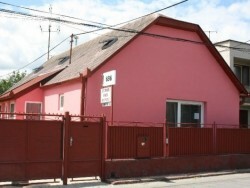 Also the pensions providing comfortable accommodation in Dunajska Streda will pleasantly surprise you with their equipment and friendly personnel. Dunajska Streda is located in the southern part of Slovakia, in the Danube lowland and belongs to Trnava region. 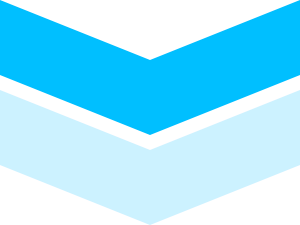 The town is a modern centre of active tourism on Rye Island. 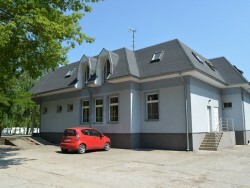 The surroundings are well known thanks to excellent kitchen and opportunities for trips to natural beauties in flooded forests around the distributaries of Danube. The thermal swimming pool in Dunajska Streda is a magnet for the tourists. The comfortable accommodation, the restaurant with gastronomy specialties, the sport playgrounds and services provided by the swimming pool will secure perfect relax for you. Find your accommodation in the town of Dunajska Streda, whether you come here to spend a holiday or you come here for business. 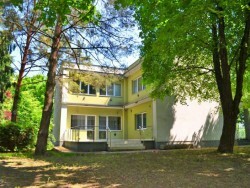 We provide more detailed information about accommodation possibilities in Dunajska Streda on these pages. Reserve your accommodation and spend nice moments in the heart of the Rye Island. Prices include entry to the thermal bath. 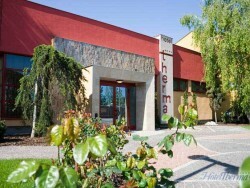 The guesthouse is situated in a quiet area of Thermalpark, where pleasant oasis of greenery is waiting for you. 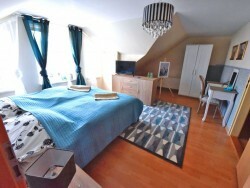 It offers comfortable accommodation in modern double and triple rooms with extra beds. Most rooms have private bathrooms and there is also a shared kitchen. Enclosed parking is in the area of the thermal resort. 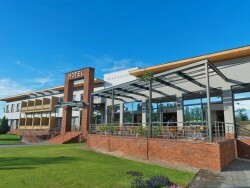 Guests receive a free day ticket to the ThermalPark Dunajska Streda. Just 150 meters from the thermal baths! Just 50 meters from the thermal baths! 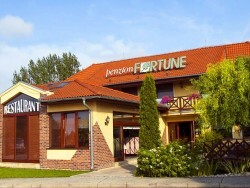 Pension Bihari offers accommodation in Dunajska Streda, a 5-minute drive from the thermal swimming pool. 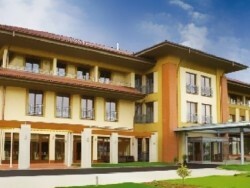 It offers 5 rooms and 2 beautiful suites. Each unit is equipped with a private bathroom with a shower, a flat-screen TV and air conditioning. Free WiFi internet access is available throughout the guest house. Extra beds are possible in the rooms. One of the apartments also has a kitchenette. Free private parking is available at the guest house. 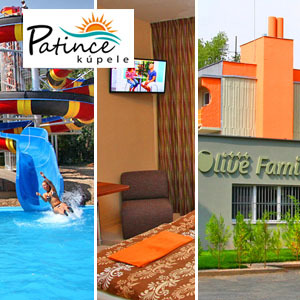 Olive Family Resort Patince ***Guest house in the area of summer thermal swimming pool Patince-bath. Week stays with half board.